GI Roundtable – Annual health policy and practice management conference for gastroenterologists and GI practice administrators. 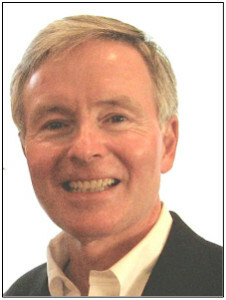 Daniel O’Connell, Ph.D., is a clinical psychologist who lives in Seattle, WA. Over the last 35 years Dr. O’Connell has worked as educator, consultant, clinician, department chair and executive director in medical, behavioral health and educational settings. He is a consultant to The Institute for Healthcare Communication and serves on the faculty of the Foundation for Medical Excellence. He works with providers at the University of Washington and UCLA Schools of Medicine and maintains a coaching and consulting practice working primarily with healthcare organizations and individual providers on all aspects of the psychology of medicine, leadership in healthcare settings and professional interactions. Dr. O’Connell develops educational programs for health care providers, groups and institutions and has led more than 600 workshops on various topics in the psychology of relationships and communication in healthcare, change processes and the emotional intelligence aspects of effective leadership.